On behalf of Admin of JML Law, A Professional Law Corporation posted in Car Accident on Monday, Aug 20 2018. When a person is injured due to the wrongful or negligent conduct of another driver in California, they may be eligible for compensation through a personal injury lawsuit. This money can make a big difference when it comes to unforeseen financial burdens. Serious injuries sustained in an accident can lead to expensive medical bills, and sometimes force a victim to stay home from work. Medical treatment can be costly enough by itself, but losing your income due to an injury can cause crippling financial troubles. By suing for compensation with a car accident attorney in Riverside, you can recover enough money to pay for these problems, with enough left over to make life a little easier going forward. California auto accident victims can usually collect two different types of damages – non-economic and economic. Each plays a part in getting the victim back on their feet financially. Punitive damages may also be appropriate in certain situations, but they are much rarer. Punitive damages are very rarely awarded in car accident cases. They are considered separate from other types of damages and are in place to punish a defendant. If you can prove that the other driver is at fault due to wanton and reckless misconduct, you may be entitled to payment. Wanton and reckless misconduct is defined as when the defendant intentionally acts in a dangerous manner that would obviously have harmful consequences. Simple negligence and recklessness aren’t enough for compensation. When you’ve suffered injuries at the hand of another driver, you may be entitled to a monetary award, but act right away because you only have a two-year window after an accident to file a claim. After this limited time period is up, you’ll no longer be able to recover money towards your medical needs. 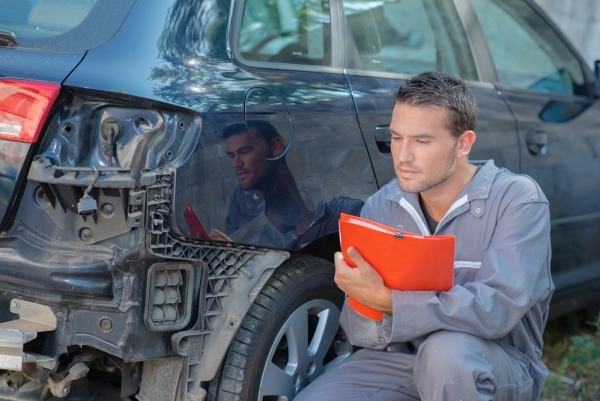 If you’re considering a lawsuit, contact a car accident attorney in Riverside at JML Law. We’ll walk you through the process and make sure you receive fair compensation for physical and emotional harms.